Hey there, big droid buddy. That’s right. The droid; the myth; the cylindrical legend. IG-88 is back, and this time he’s chasing Qi’ra, a new heroine introduced in Solo: A Star Wars Story. This short also features the return of Hondo, a fun character (is he a fan favorite? I don’t know, tell me in the comments?) 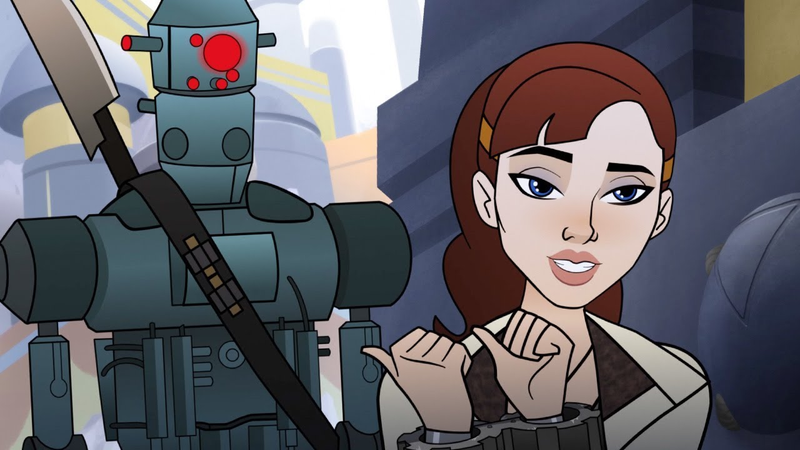 from Clone Wars and Rebels, as they both try to chase down Han Solo’s one-time associate. How will they fare? How will Hondo handle teaming up with the greatest, most handsomest droid this side of HK-47? Well, they try. They certainly try. Either way, the highlight of this short for me is IG-88, who I think might here (I haven’t seen Solo yet) might speak his first lines in the entire Star Wars universe. Also, Qi’ra rules. Check it out.